How good can milking robots be? 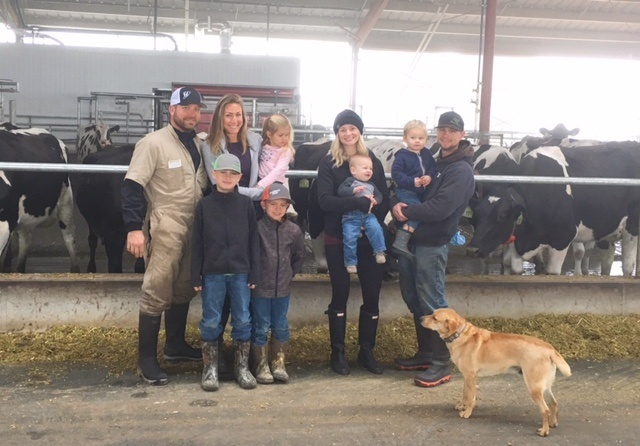 Just ask Pete Postma and Sons Dairies, LP, based in Modesta, California. Currently milking 1,900 Holstein and Jersey purebred cows, the Postmas decided to build a new barn and transition to Lely robots in two phases. Working with Turlock Dairy and Refrigeration, Inc., (TDR), the Lely Center based in Turlock, California, Pete Postma and Sons Dairies have installed five Lely Astronaut A4 automatic milking systems so far and have plans to install five more. Postma Dairies are owned and managed by Pete Postma and his sons, Jonathon and Jack Postma. Pete serves as an advisor and mentor while helping on the farm. Jonathon Postma serves as a manager, focusing on cows and dairy operations. Jack focuses primarily on production crops, although the brothers share responsibilities across the farm. The Postmas began looking into Lely robotics after they began considering remodeling or building a new barn. They discussed their ideas with representatives of TDR and began to look at dairy robotics more closely. The Postmas toured many Lely operations and spoke with both owners and staff about the benefits of Lely automated equipment. All of the partners took an active role in the decision process. In addition to Lely dairies, the Postmas toured conventional operations and other robotic options. They had a checklist that served as a scorecard in their decision process. The cost of inputs, California regulations and the labor market have been challenges for the Postmas. Because of this, they are looking to redirect their time away from employee recruiting and training in order to maximize staff abilities, manage the farm enterprise and optimize the herd. Robotic cow milking, though an investment, can quickly pay for itself through labor savings and increased production. TDR helped answer any questions the Postmas had and supported their decision processes.